You guys know I'm a sucker for package deals right? Like a comedienne once said, it's a particular twist of the female brain that gets us to buy the thing we don't want in order to get the thing we don't need. In this case, though, I really wanted to try the Revlon Nearly Naked foundation, especially since I love the Revlon Colorstay and I has seen some reviews comparing this one to the YSL Teint Eclat (which I am lemming like cupcakes). When I saw the powder packaged with it in a BOGO deal at my local Jean Coutu, I snatched it right up. Nearly Naked Foundation in 130 Shell. Nearly Naked Powder in Light. There was a limited selection and I feared that the shade would be a touch too pink or peach for me, but it was in fact a little yellow-toned. Not enough to make a difference once it was blended, but these seem to run more yellow compared to the beige undertones of the Colorstay formulation. 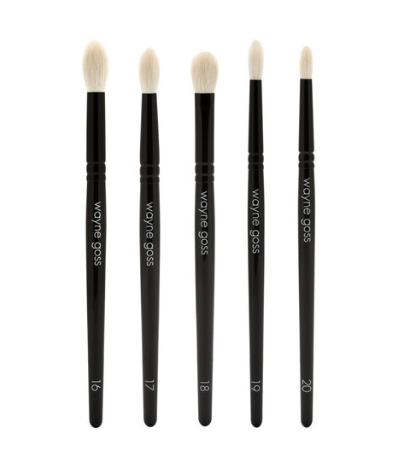 The packaging is clean, fresh and precise, and again a marked counterpoint to the all-black packaging typical of the rest of the Revlon line. Two minor nitpicks - the foundation is screw-cap on a glass bottle, which I don't love for both hygiene and practical reasons, and the powder compact lacks a mirror, yet it made larger due to a largely extraneous puff. 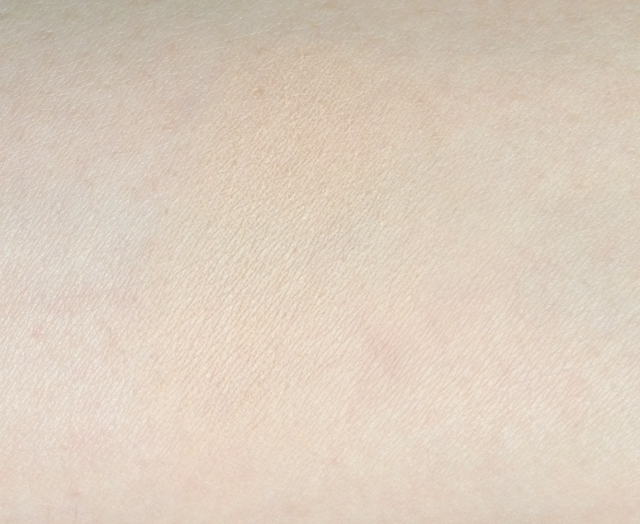 Nearly Naked Foundation in 130 Shell, drop swatch above and blended in below. 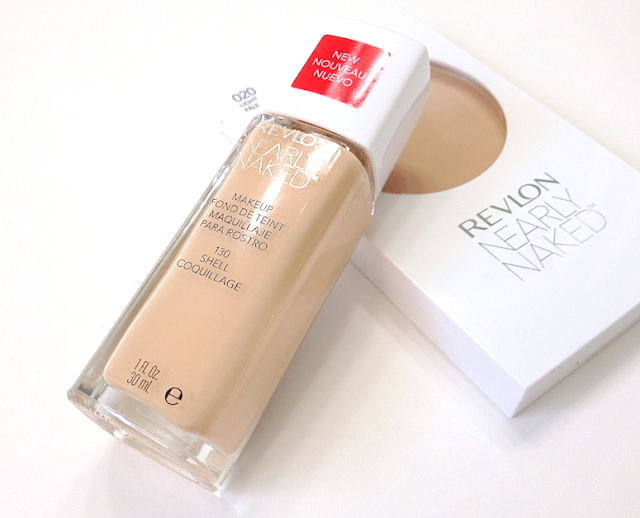 The foundation is quite liquid, and applies lightly and easily. 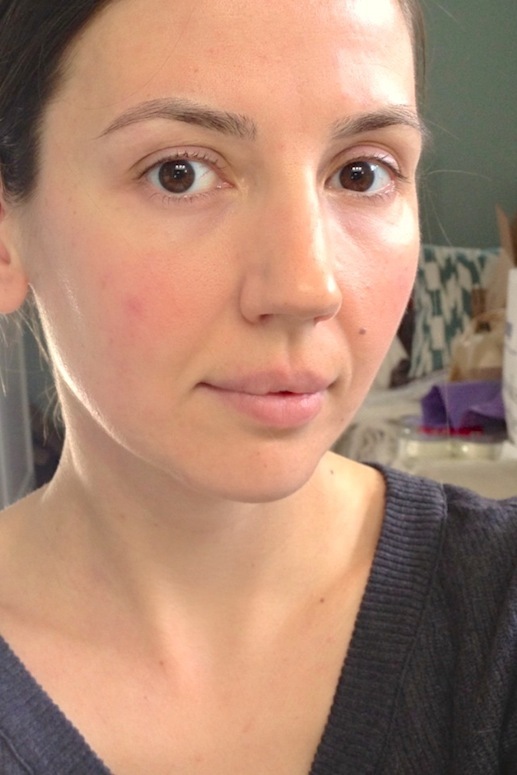 I opted to forgo the beauty blender, which soaked up too much of the lightweight texture, and experimented with using both fingers and buffer brush - both worked well, though I feel like I got the best level of coverage and the most natural look with my hands. I would consider this light coverage, not overly buildable. Maybe to a medium. 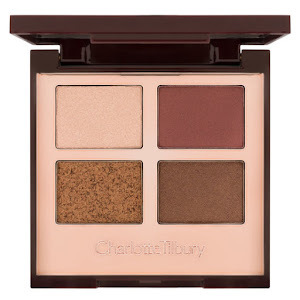 It gives natural satin finish and while it doesn't have the powerhouse wear of Colorstay (though few things do! ), it will make it 8 hours with only minor breakdown around the nose if you have my typical combination skin. I've only tried the Teint Éclat in the store so I can't compare them in-depth, but Teint Éclat felt and look dewier and "cushier". If you have slightly oily or slightly dry skin, and prefer a light, softly glowy-finish foundation, this is a very nice option at a decent price. Nearly Naked Powder in Light, swatched. I was a little less fond of the powder. 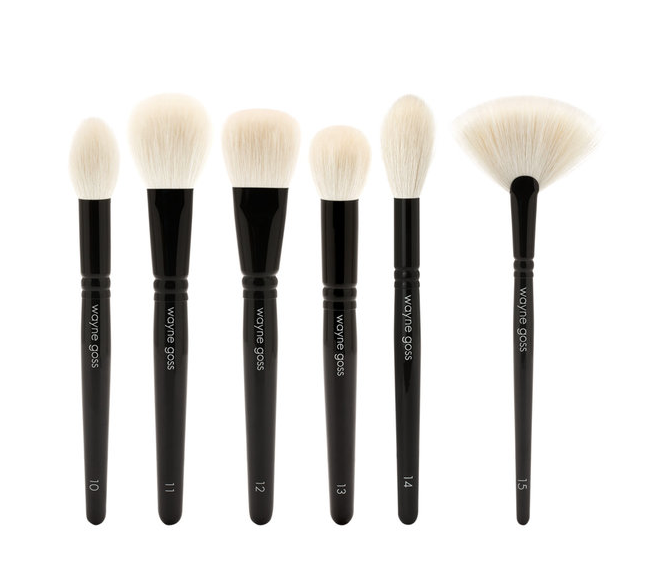 The texture is incredibly smooth, finely-milled and silky - it feels like it should blend into the skin seamlessly. Instead it looks noticeably powdery when first applied, and for a while afterwards, even though it has a very faint sheen. As the powderiness fades as the natural oils come through, the powder melds better with the underlying foundation and complements it. I think dry skin might not like the initial powderiness, while oilier skin might have a problem with how little it actually ends up mattifying. However, if you just want something to set your makeup and prefer a natural glow to come through (and can deal with some initial texture issues) then this is fine. To give you an idea of the coverage and finish, here is a comparison. 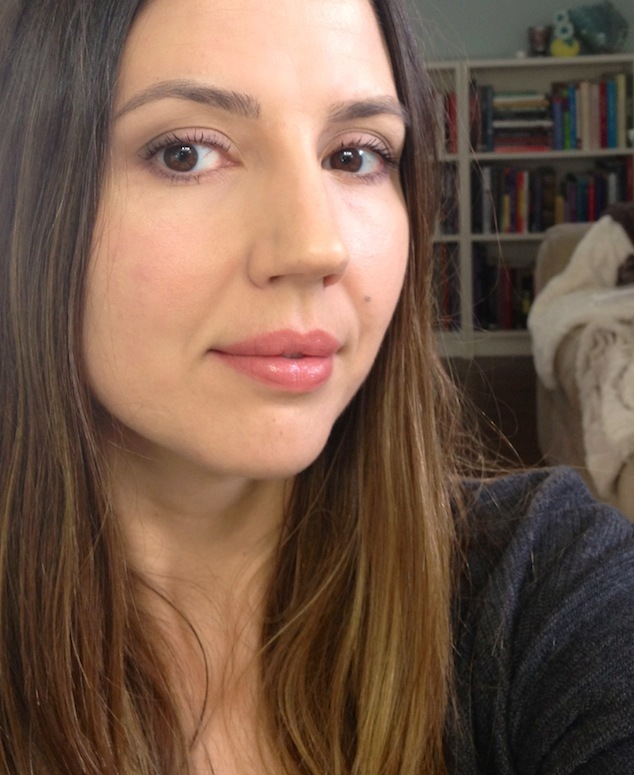 I am only wearing the Nearly Naked Foundation and Powder as far as skin makeup is concerned. Also wearing: Flower Beauty Smoke and Mirrors Quad on the eyes. Availability: Most drugstores, including Jean Coutu and Pharmaprix/SDM. Prices vary, though I generally see the foundation for 15-18$ CAD. It is 9.99$ USD at Ulta. 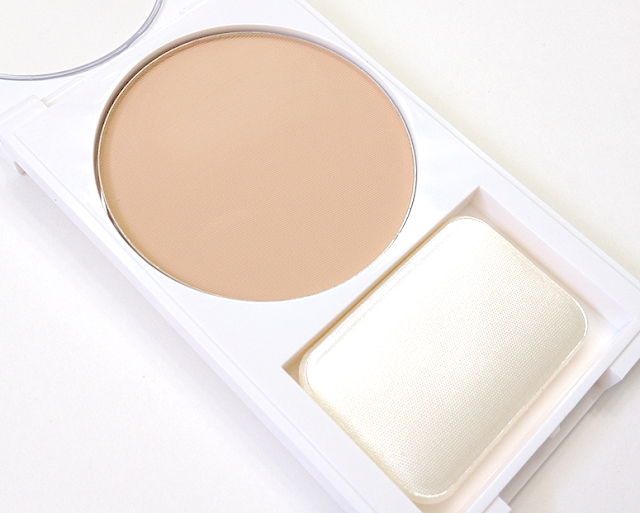 Pros: Lightweight, natural/luminous finish foundation that generally wears well throughout the day. After some settling, the powder is a good complement to the finish of the foundation, and has a lovely texture to the touch. Decent range of colours for light to medium skin, especially if you run to the warmer, more yellow undertones. 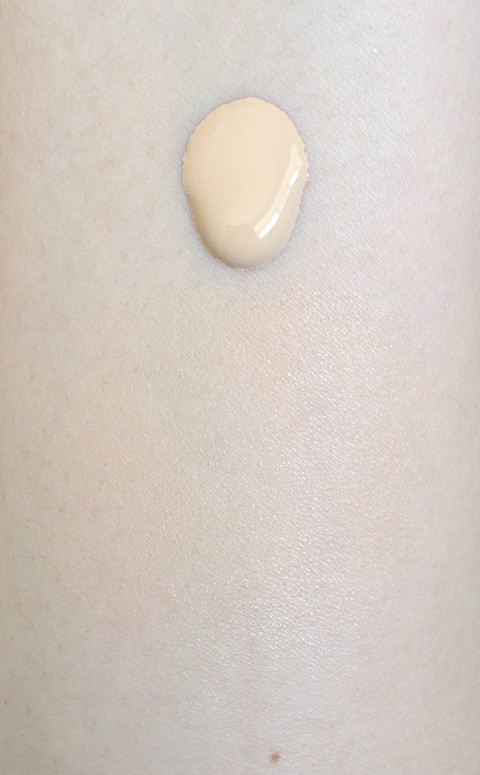 Cons: Foundation is not particularly buildable, and packaging is not optimal for hygiene or function. Powder is...well, powdery, and obvious on the skin, though it does settle after a while.